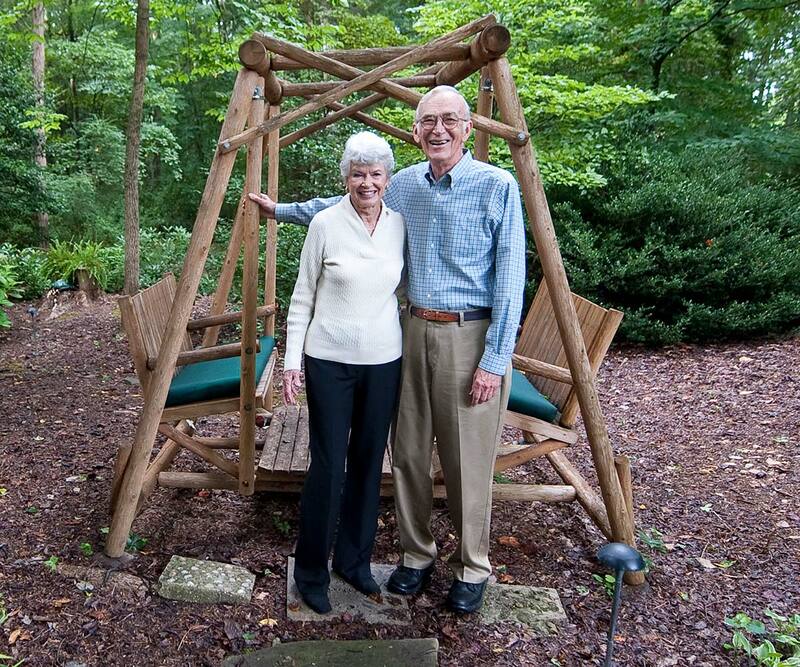 Dannie and Art Weber lead very active lives, but they have never been too busy to remember their adopted community of Winston-Salem, which they say has given them so much. Art and Dannie opened a Sir Speedy Printing franchise in Winston- Salem in 1974 and purchased an existing store in High Point in 1982. Both remain family businesses today. Early on they had heard about “the special Foundation” here in Winston-Salem, and they were impressed that a city this size could have such a strong community foundation. The Webers have a deep belief that education is the key to a successful community. “It’s the foundation of everything,” Dannie says. And because of that, the Webers decided to target their philanthropic resources to provide educational support for the community and opportunities for students who might not otherwise be able to afford it. The Webers also established a designated fund for Forsyth Technical Community College after learning that one of Forsyth Tech’s largest segments of students is comprised of single mothers trying to get an education. “I think we are blessed here in Winston-Salem with Forsyth Tech,” Art says, noting that not only is the campus impressive, it also offers a wide variety of classes for students of all ages to help them move forward — even Dannie has been a student there. She has taken Spanish at Forsyth Tech for a number of years and is happy to be able to practice her second language while volunteering at the Community Care Center. The Webers also established a student aid fund at the Foundation to support college students both in Forsyth County and in Alleghany County, where the couple has a mountain cottage. They have enjoyed getting to know their scholarship recipients and following their college years. They even have a special file for the thank you notes they’ve received from students who have been able to further their education as a result of their funds administered by the Foundation. “Reading those notes just touches me so much,” Art said.